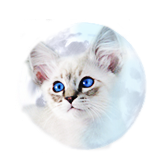 We take much pride and effort to raise, care, and socialize our Balinese kittens to above standards. We have invested much in our breeding program to produce the best we can in terms of breed health and quality. All our cats have been acquired from the finest breeding lines here in the United States and abroad. You will not see our combination of lines anywhere else but at Azureys Cats. Our goal as responsible breeders is that all our Balinese kittens go to loving, permanent homes where they will be loved, cared for and appreciated throughout its many years of life. 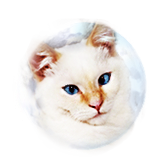 We want our kittens to represent and promote the Old-Style Balinese/Siamese breed, and be loving companions. 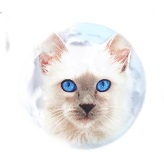 We encourage anyone interested in acquiring a Balinese kitten from our breeding program to view our Past kitten pictures, read our References and take our Bali-Quiz to learn more of the Balinese breed. We at times have Balinese kittens for sale during different times of the year. This is all according to when nature calls for our cats, and when we feel it is best for our cats to reproduce. 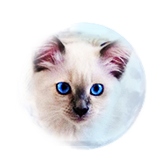 Due to the increased popularity, and awareness of the Balinese cat breed, our Balinese kittens are ussually all reserved prior to them even being born or ready to leave to their permanent homes. For this reason, we always advise in placing a kitten reservation deposit. Kitten Reservations are on a first come first serve kitten waiting list, and is the only way to guarantee a future kitten. (2) - 4 in 1 Vaccinations against Panleukopenia, Rhinotracheitis, Calicivirus, & Chlamydia. 7 & 11 weeks. Please feel free to email us a detailed contact form for more information on our current/future kittens, and/or to place a reservation deposit or to add you to our kitten waiting list. Thank you for your interest in the one and only, Azureys Cats. 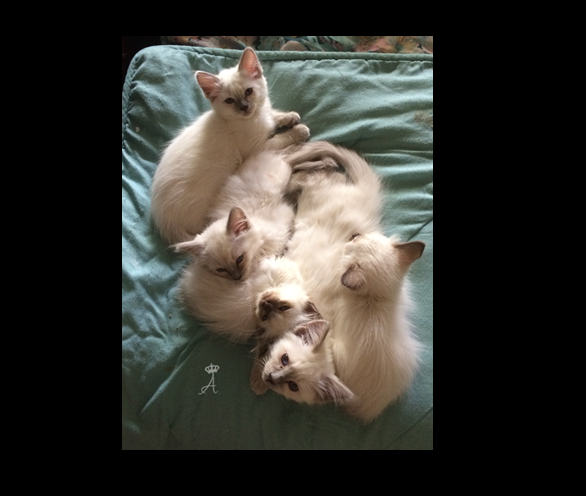 Though we try to produce a couple of kitten litters and have Balinese kittens for sale throughout the year, we follow strict policies in having our breeder cats receive rest, and in maintaining their good health. 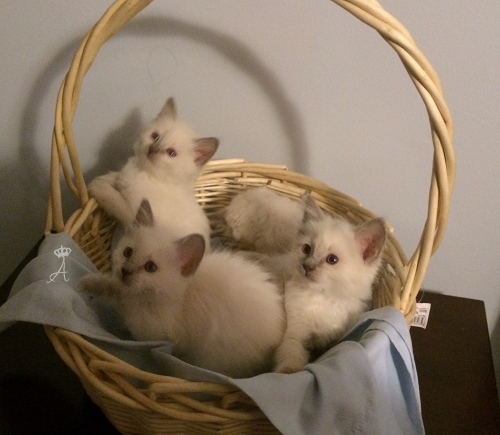 We produce kittens year round, but due to the rarity, high demand, and popularity of our Old-Style Balinese/Siamese kittens, we might not have a kitten of your specific preference of color point, gender or appearance at the time of your intial interest. This is why we operate with a waiting list and why it is always growing. For clients who are interested in acquiring a kitten from our breeding program, we recommend in placing your deposit and name to be added to our waiting list. This will guarantee and ensure your interest and acquiring of a future kitten, and of your specific preferences. Our waiting times can range anywhere from 3-8 months+ depending on availability, your preferences in gender/color, etc, and other factors but we do our best to accommodate everyone in their specific preferences and interest! Be automatically rolled over to the next litter if we do not have "your" kitten in that litter. 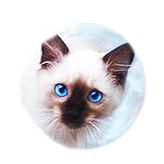 Be guaranteed to be a future Azureys Balinese/Siamese kitten parent! We are currently taking names for kitten reservations from current, and/or future kitten litters. Please do not hesitate to contact us in your endeavor of acquiring a future loving companion. We also have 2 Rare Red point Male kittens available to go home soon! We also hage available a young adult cat available for rehoming; please see available Adults page if interested. Please email us for more information on these kittens! Kitten Choice is upon the order of when a reservation deposit has been submitted and received. We do our best to accommodate every kitten parent as long as it is in our power to do so & when possible. 4) The Cortazzo Family from PA- Long haired, Traditional colors, 2nd kitten! 5) The Dent Family from VA- Long haired, any color. 6) The Tang Family from CT- Long haired female, Chocolate point. 7) The Tang family from CT, Long haired female, Lilac Lynx- 2nd kitten! 14) The Norton Family from MA, Long haired male kitten, any color- 2nd kitten! 20) The Taylor Family from NJ, Long haired, any color- 2nd Azureys kitten! 28) The Nunes Family from NJ, Long haired kitten, any color-2nd kitten! 29) The Carter Family from GA, Long haired female, any color. 31) The Cloud Family from NJ, Long haired female, any color. 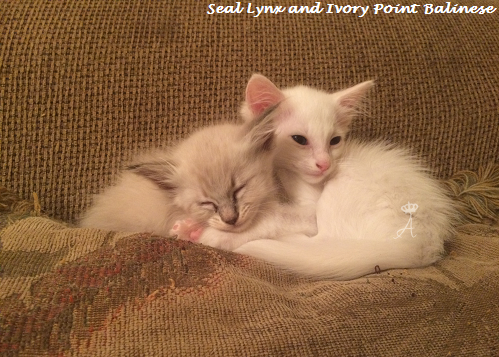 32) The Cloud Family from NJ, Long haired male, any color- 2nd kitten! 34) The Johnson Family from MA, Short/Long haired kitten, any color- Seal Preferred. 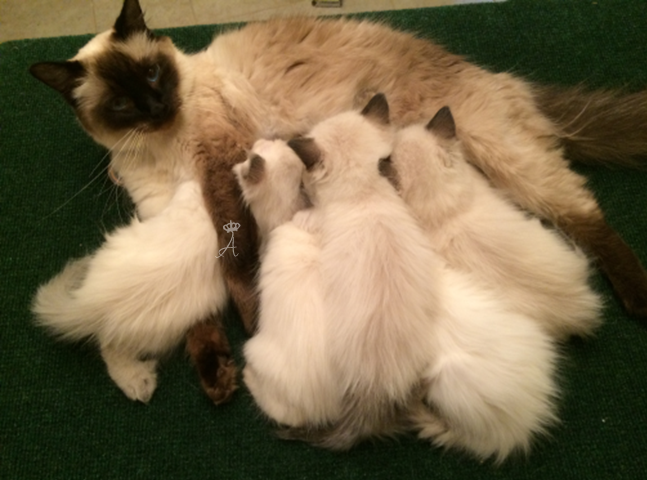 37) The Culbertson Family from VA, Long haired female, Chocolate point- 2nd kitten! 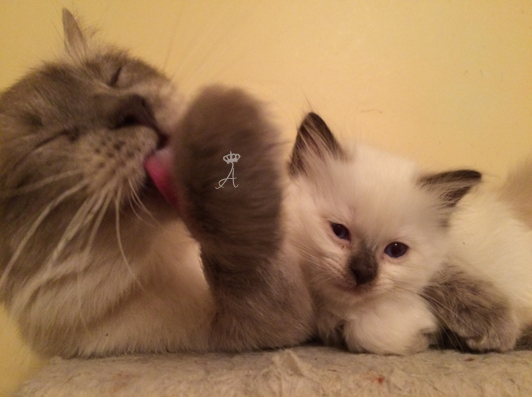 39) The Diertani Family from NYC, Long haired kitten, any color Seal preferred- 2nd kitten! 40) The Goldblatt Family from NJ, Long haired female, traditional colors, Lilac Preferred. 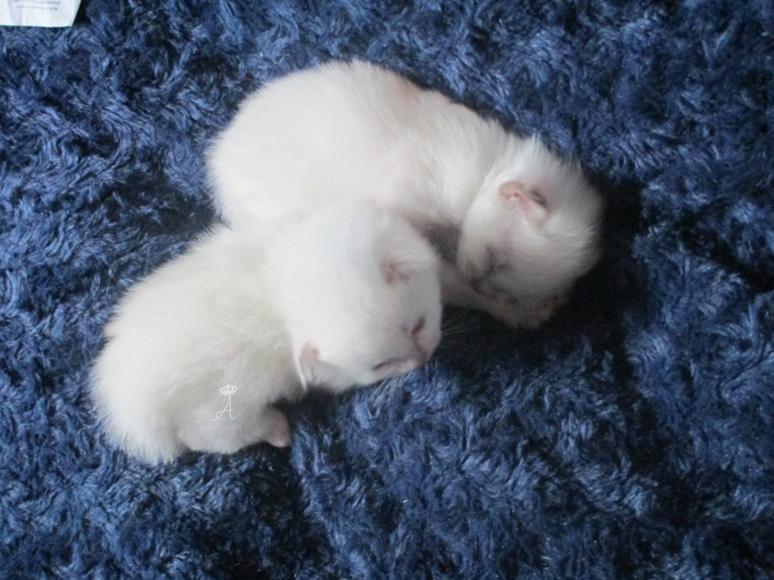 Contact us to be added to our kitten waiting list, a reservation deposit is required. 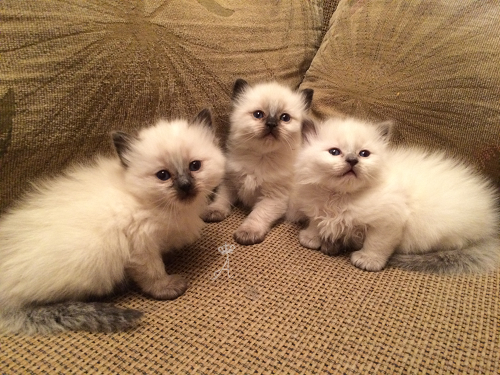 Pixy X Silver, Balinese to Balinese breeding; Long haired litter. Born: 2 kittens on November 15th, 2018. Contact us to be added to our kitten waiting list. 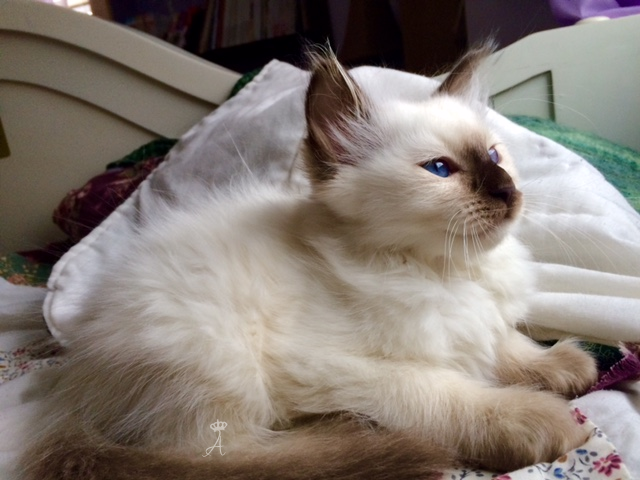 Hazel X Silver, Balinese to Balinese breeding; Long haired litter. Eevee X Pixelson, Balinese to Balinese breeding; Long haired litter. Born: 4 kittens on December 27th, 2018. 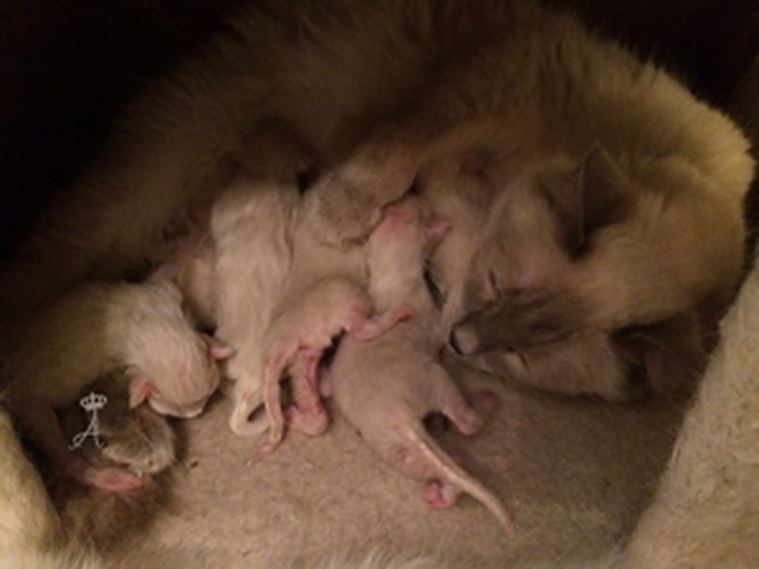 Ivy X Silver, Short haired Balinese to Balinese breeding; Short/Long haired litter. Born: 2 kittens on January 03, 2019. Candy X Pixelson, Balinese to Balinese breeding; Long haired, Rare Red point litter. Born: 5 kittens on January 8th, 2019. 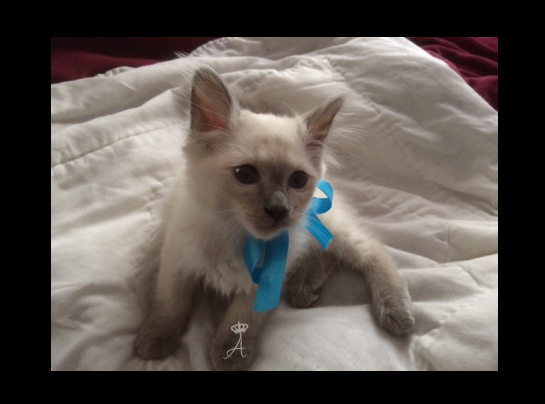 Pixel X Achilles, Short haired Balinese to Balinese breeding; Short & Long haired litter. Born: 5 kittens on February 19th, 2019. Kitten litters we are expecting!